Nora, a high school AP English teacher, is eager to finish her last day of school before the Thanksgiving holiday so she can start her annual holiday vacation with her husband and daughter, Fiona. Just after she releases her class and is getting ready to leave she hears a whisper and movement in the empty classroom. Suddenly a child’s face with wild blue eyes appears floating in front of her. A moment later, the face is vanishes. Being that Nora has been exhausted, she is not sure if she is dreaming or hallucinating, but after it happens again while on their holiday she decides to meet with a neurologist and psychiatrist. Through work with her doctors she discovers there is a very dark and deep secret she has kept buried in her past, so deep it has even been hidden from herself all these years. The more Nora learns about this secret the more her present life crumbles around her. This novel has a couple of trigger warnings for child abuse and sexual violence. I appreciate when these are called out, not because they generally turn me away, but because they allow me to prepare myself for what I am about to experience. This novel has fairly graphic depictions of both the aforementioned warnings. 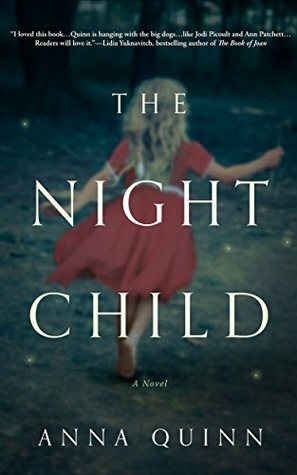 The Night Child is a well written and suspenseful novel by Anna Quinn. This novel is not an easy read as it is very dark and deals with sad and disturbing subject matter. That being said, the story being told is an important one and is approached with a great respect for the issue. This was a very fast paced read for me and I finished in just a few short sittings. The most impactful parts of the novel for me were the flashbacks because they really make you understand what has happened to Nora and why, but they are the most difficult. I rated this novel a 4.0/5.0 mostly because the ending seemed a bit abrupt and left me wanting a more. However, I really enjoyed this novel and would recommend it. Thank you to NetGalley and Blackstone Publishing for the advanced copy. As always, great review! Sounds like a edgy ride.